For many of us, our jobs revolve around a desk, a keyboard, a computer and a mouse. It’s simply a modern reality that much of our work and communication has become both sedentary and repetitive. So much so that we now RSI’s (Repetitive Strain Injuries) that reflect these issues like “Blackberry Thumb” and Carpal Tunnel Syndrome from improper keyboard posture. Carpal Tunnel Syndrome in particular affects thousands of people each year, and due to the nature of repeat strains, it causes people to miss work so they can immobilize and rest the ailing wrist. At Living Well Medical in NYC, we routinely help patients suffering with repeat strain injuries like Carpal Tunnel using a program of physical therapy supported by other treatment methods. So just what exactly is Carpal Tunnel Syndrome and how does it develop? The carpal tunnel is the canal in the wrist through which the median nerve passes which innervates (supplies sensation and motor function to) the thumb, index and middle fingers as well as part of the ring finger. It is surrounded on three sides by bone and on the fourth side by the transverse carpal ligament. Several tendons also pass through this canal. You could call it a high traffic area of the wrist. With repeated strain or overuse, theses tendons swell and can compress the nerve causing pain, numbness, muscle weakness, and in severe or chronic cases, wasting of the muscles of the palm. 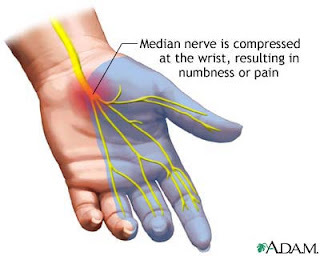 Tingling, burning, and ‘pins and needles’ sensations are also commonly described symptoms with median nerve compression. Carpal Tunnel Syndrome, also called median neuropathy at the wrist, can have significant effects on the ability to function normally, making general movement painful, and we depend on our hands for so much. It is one of our primary means of interacting with the world around us, so an injury of this sort can be more than a little frightening. Physical therapy has been shown to help reduce pain in the carpal tunnel in moderate to mild cases. In particular, stretches and hand exercises are often combined with other therapies to achieve the best results. In most cases, splinting is also an important component of treatment as immobilizing the joint can help prevent further irritation and promote proper healing. 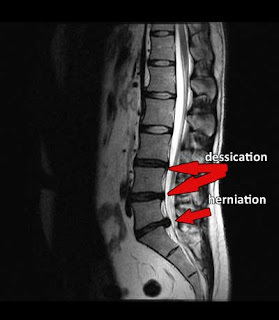 Deep tissue ultrasound and other conservative treatment methods might also be employed by your physical therapist to stop the pain and numbness. At our practice, we integrate the Graston Technique, chiropractic care, and cold laser therapy as part of our physical therapy protocol to relieve pain and stimulate faster healing. Each of these individual treatments can be added on to physical rehabilitation to improve outcomes. This unique approach to treatment, coupled with our commitment to wellness, is what separates us from other practices. If Carpal Tunnel Syndrome is causing you pain, Living Well Medical in NYC can help. Call us today at 212-645-8151 to schedule your appointment for treatment at our SoHo office.